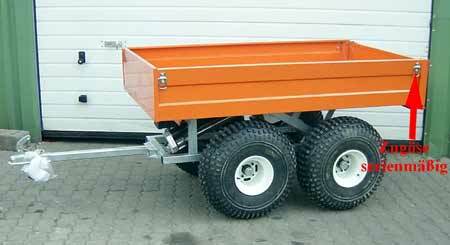 Current delivery in the color black. 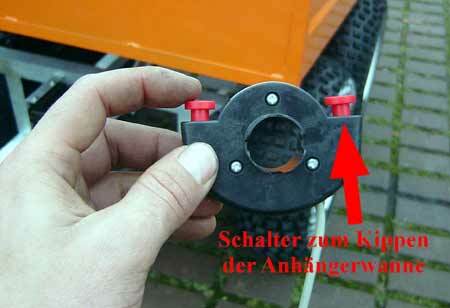 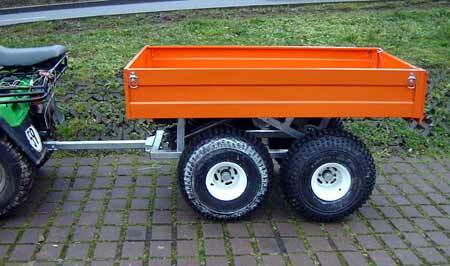 The wheels are bolted to the frame - the trailer does not have a swing axle. 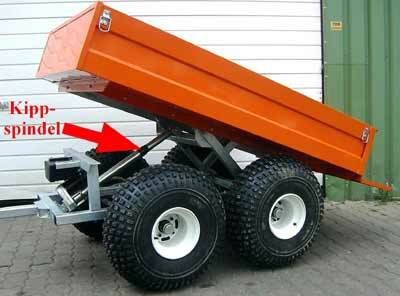 But it has swing arm-axles, which prevent swinging in rough terrain. 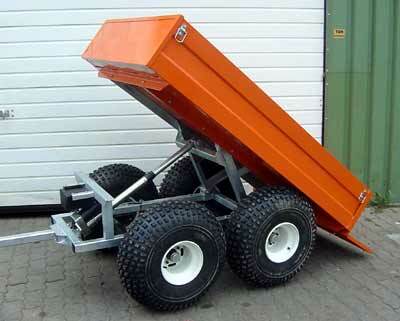 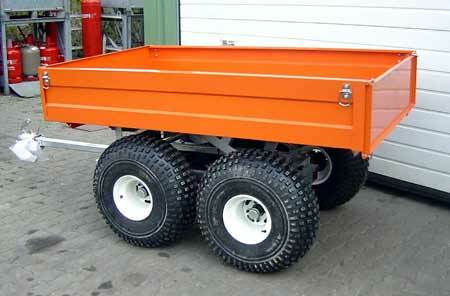 Due to the high ground clearance of 380 mm, the trailer is ideal for off-road. 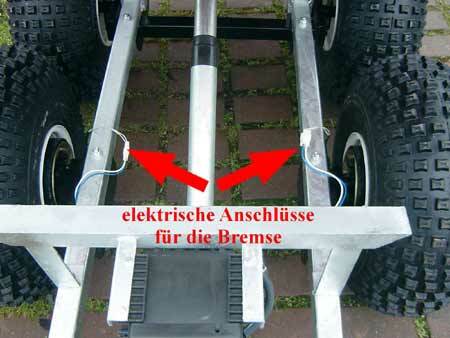 The trailer has an electric brake system. 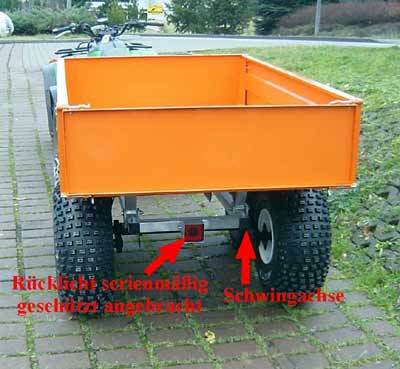 Since on the road in Germany an electric brake system is not approved, this braking system must be switched off during road use of the trailer by a switch on the handlebars. 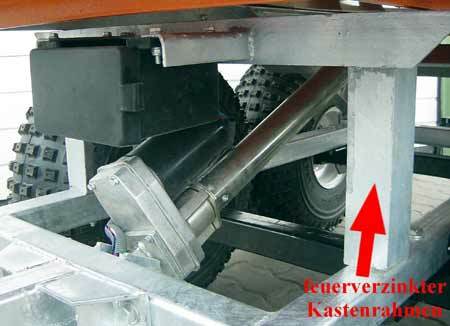 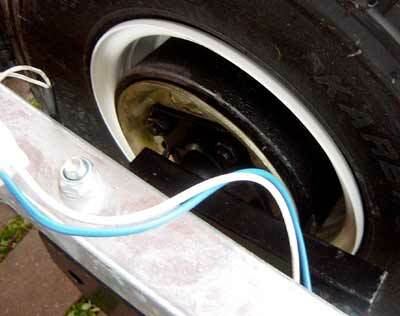 Outside of the road, the brake system can be used again. 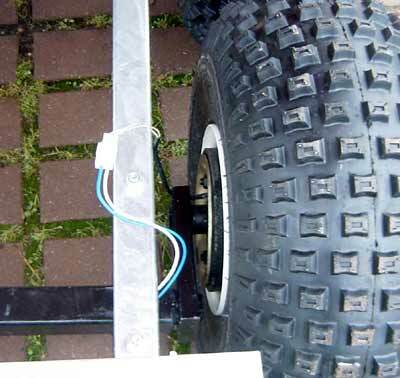 You have to connect the brake cable to the brake light and when the tractor / quads is braking the trailer brakes delayed. 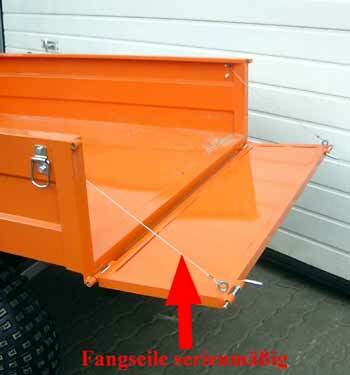 An important technical detail if the trailer is fully loaded.